Apple quietly released an update for its iWork suite and updated the mobile version of Pages, Number and Keynote to version 1.7. 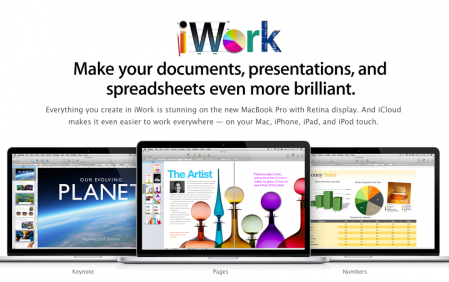 The iWork update 9.3 add support for iWork for iOS 1.7 apps. The update also includes bug fixes and it is available via Mac App Store update if you purchased it from the App Store, or Software update if you originally purchased it in a box.